Getting sick of having three first aid kits and a badly organized medicine cabinet I finally got my act together and conglomerated all of them to create the mother of all first aid kits. All it took was one trip to the La Sirena (DR’s version of Walmart) to buy a plastic toolbox and a couple of hours and I reorganized all our meds. Kurtis says that I cannot get seriously injured now though, because I am the only one who knows the method of my organizing madness. We never went out and bought really specific meds for our sailing adventures because we expected, and it turned out to be true, that you can buy pretty much everything you may need, and for cheap, at any island that we were stopping at in the Caribbean. I also never saw the value of paying for and stocking up on pills that have an expiration date and will probably go bad before we ever need to use them. We just wait and if a sickness does occur during our adventures then we visit the doctor’s office and get meds for 1/8th of the price that we would back home. Keep in mind we are not crossing and ocean or going to remote islands, everywhere we have visited has had some sort of medical facility. 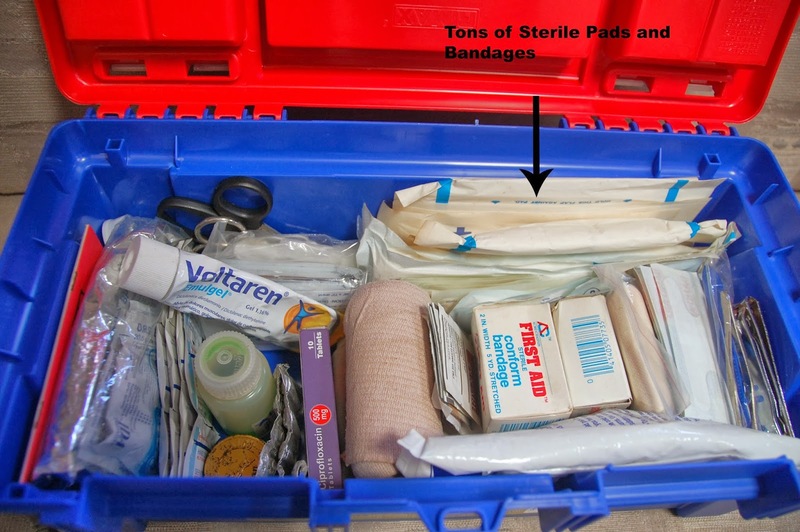 Outside of the regular things that a first aid kit comes stocked with we only made a few additions, but I will go over everything here. 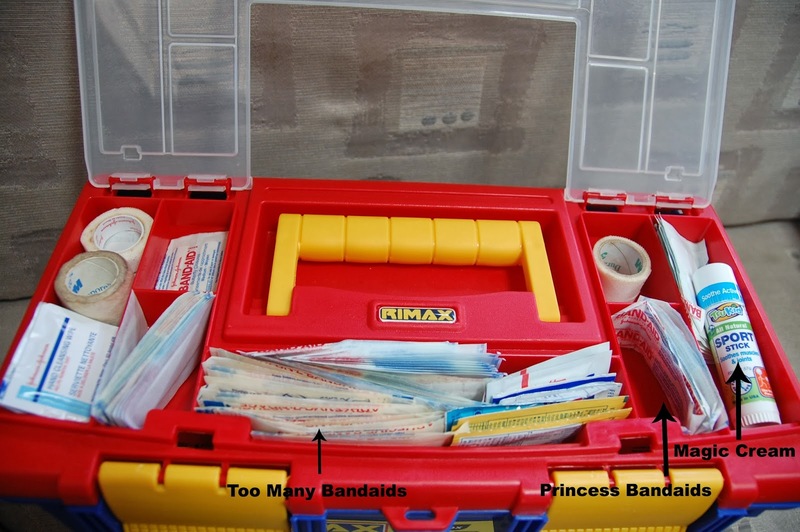 I separated our first aid stuff into three sections, for easier access. The first kit was for all first aid needs, the second kit was so all the seasickness meds we have acquired over time and friends visits, and the third area, in our medicine cabinet, is dedicated to the girls regular medicines. -Dramamine and Bonine. (Guests left these on our boat, we don’t use them as Eben has had adverse affects from both of them. Hallucinations are never good when you are sailing). And then there is the All-Natural section of the seasickness box, since I have always been pregnant or nursing while sailing I have never wanted to take any “real” meds not knowing what might get passed along to the baby. I couldn’t tell you which of these really works since I have always used a mix of all of them, but I have never been seasick, or I may just have a stomach of steal. -Cocculine (a homeopathic tablet a friend swears by). This we keep fully stocked with medicine for the girls. The reason we stock up on these is because they are Tylenol brand, which the girls have always used and it works for them, and it is in the flavors they will swallow. These are not always readily available in all countries, so they are often on our list of things for guests to bring for us. That’s it. Our whole kit(s) of anything we may need and have, now, easily accessible to us. Everything else is just a pharamcy’s visit away.